Debate is a powerful tool that helps our students win at life. There is nothing like debate to help students improve academically, develop communication skills and critical thinking, build their confidence, create a life-long community, and expand their knowledge of the world’s most complex and pressing issues. 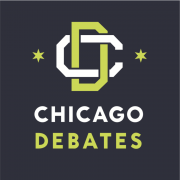 Debate is a transformational activity that help young people find their voice, while preparing them for college and career success.